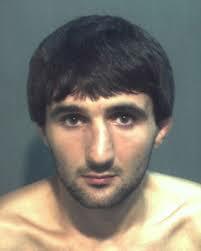 The FBI agent who fatally shot Ibragim Todashev in his small Orlando apartment last year has a troubling, controversial history as a former officer for the Oakland Police Department in California, the Boston Globe reports. Not much was known about the agent who killed the Chechen friend of Boston Marathon bombing suspect Tamerlan Tsarnaev because the FBI declined to identify him. But the Globe has discovered that the agent’s name is 41-year-old Aaron McFarlane. According to the Globe, McFarlane retired from the department at the age of 31 after he was the subject of two police brutality lawsuits and four internal affairs investigations. Authorities have said the agent was justified in shooting Todashev because he lunged at the investigators inside his apartment. Posted: 5/14/14 at 8:53 AM under News Story.